EP29: Do I Need A Pacemaker For Atrial Fibrillation? Warrick is a practicing cardiologist and author with a passion for improving care by helping patients understand heart health through education. Warrick believes educated patients get the best healthcare. Discover and understand the latest approaches and technology in heart care and how this might apply to you or someone you love. Hi, my name's Dr. Warrick Bishop, and I'd like to welcome you to my consulting room. Today, I'd like to share with you one of the questions that I get asked regularly on my patients who have atrial fibrillation. And the question is: "Do I need a pacemaker?" It's a common question, and the general answer is no. And the reason is this: A Pacemaker is a device to provide an electrical stimulation for the heart when the heart is not producing enough electrical stimulation of its own. So we look at pacemakers as a solution to the heart beating to slow. If we think about Atrial Fibrillation and what's happening is that the top part of the heart; the atria are beating you extremely rapidly, In fact it's chaotic, and it's throwing off electrical activity all the time, and more often than not, that electrical activity is bombarding the node or the gateway between the top and the bottom of the heart, the AV node with electrical impulses, and those electrical impulses are driving the ventricle to rapid contraction. The irregularly irregular rapid heartbeat of atrial fibrillation. So, in general terms, atrial fibrillation does not need a pacemaker because it's not going slowly. It needs heart rate regulation. So, a pacemaker is not needed for atrial fibrillation. Occasionally, however, as is always the case, there are exceptions to the rule, and it can occur that when we try and control the rate of atrial fibrillation for a patient. But sometimes the medications may not be well-tolerated to allow us to slow conduction from the top of the heart to the bottom of the heart through the AV node. Or it might be that our medications just don't work very well. In those occasional situations, what we do do is consider isolating the atria from the ventricle altogether, and we do that by what we call AV node or atrial-ventricular node that is connected between the top and the bottom, electrophysiological ablation. So we use special techniques; catheter techniques to ablate completely, the connection between the top and the bottom of the heart. Well, that means that the heart, left to its own devices, would only then generate a heart rate commensurate with what the ventricle would generate by itself, and that's too slow. And so if we do an AV node ablation for atrial fibrillation, we combine that with the insertion of a pacemaker to make sure that the heart rate is maintained. So there you go. Do you need a pacemaker for fibrillation? The general answer is No. The reality is, very occasionally, it is required, but it's a very specific circumstance and in general terms, a pacemaker is to make sure the heart does not go too slow. And in general terms, atrial fibrillation is a rhythm that drives the heart too fast. Well, I hope that explains a little bit to you about atrial fibrillation and where pacemakers fit in or not. I'd like to thank you for joining me, and as always, I wish you good health. Goodbye. You've been listening to another podcast from Dr. Warrick. 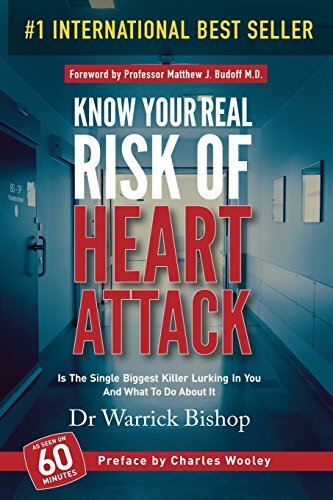 Visit his website at www.drwarrickbishop.com for the latest news on heart disease. If you love this podcast, feel free to leave us a review.